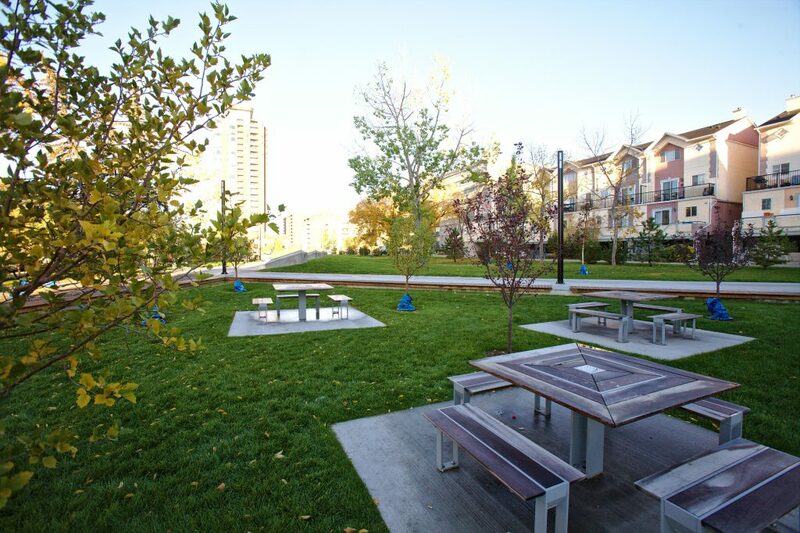 Thomson Family Park – Alpha Better Landscaping Inc.
Thomson Family Park provides an inner city greenspace amongst the high rise buildings for residents to engage with nature right outside their front doors. 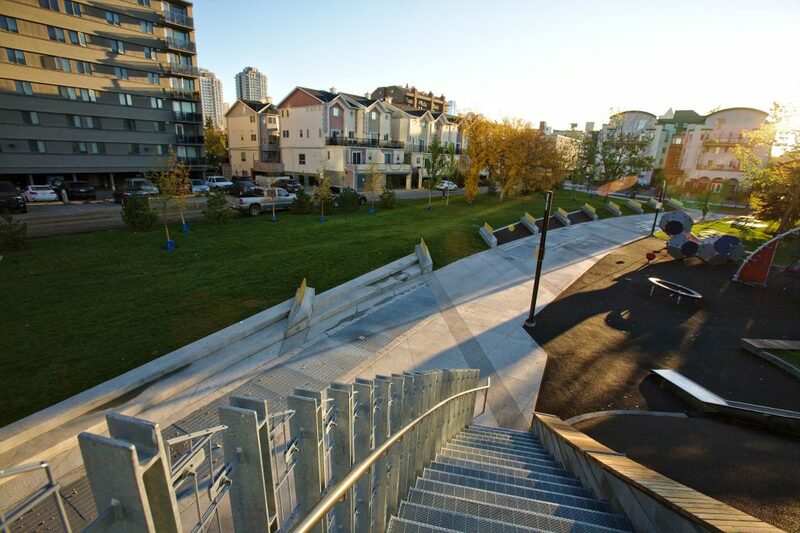 The downtown location of the project presented a variety of planning, logistical, and bylaw obstacles that were overcome through prudent strategizing and a workforce that was eager and willing to undertake the task. The majority of the existing park was completely removed, providing the landscape a clean slate with which to work. A low impact development area was established on the eastern border of the project site; utilizing a Strata Vault engineered cell system installed under the concrete. Upon assembly of the system, specialized bio soil was installed. The intent of the system is to retain storm water from road run off and filter it before being distributed to the trees planted within the structure. 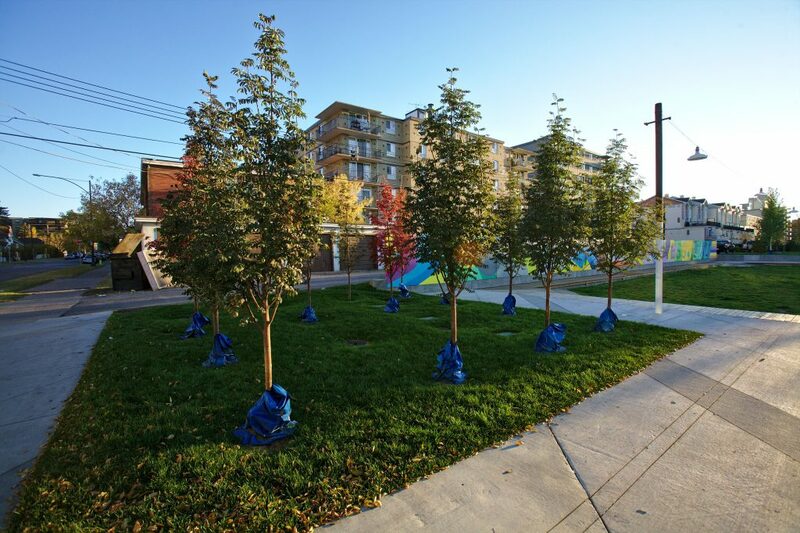 In addition to the trees planted within the Strata Vault, over 100 trees and 4,500 square meters of sod were installed to add contrasting greenery to the adjacent concrete work. An expansive irrigation system was installed to ensure that the aforementioned plant life would thrive within the urban environment. Finally, over 1,000 square meters of crushed limestone pathway was installed throughout the park. 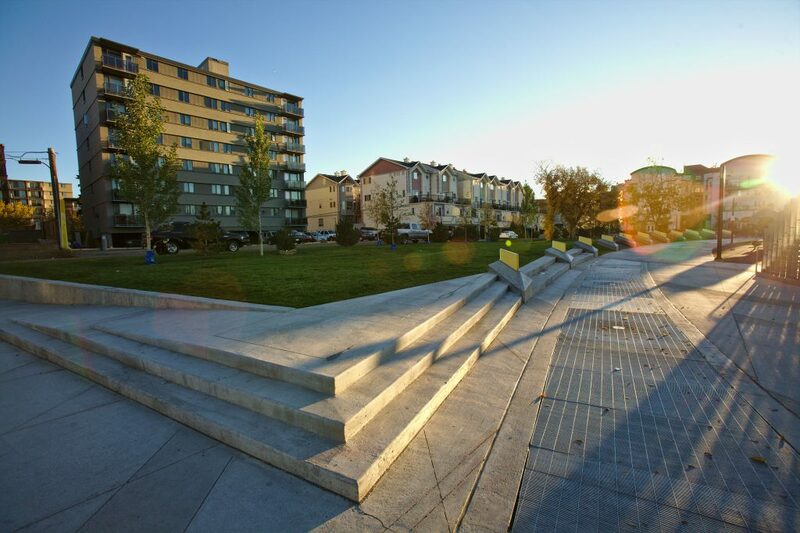 The work in the newly constructed park did not cease upon completing the installation of the landscape. Each winter the central sod feature is transformed into an outdoor skating rink and rehabilitated in the spring.